The Elephant Safari Park was officially opened by the Minister of Tourism in the year 2000 after three years of development. 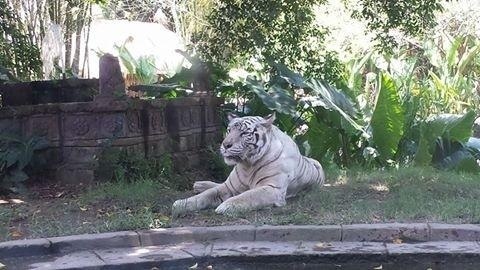 An official member of the World Zoo Association, the Park meets International Standards for animal care and is set in more than 2 hectares of exotic eco tourism landscaped botanical gardens, surrounded by national forest. Acclaimed as the World's Best Elephant Park, facilities include a full Reception and Information Centre, a comprehensive Museum, with a large collection of elephant memorabilia and the only Mammoth Skeleton in South East Asia. 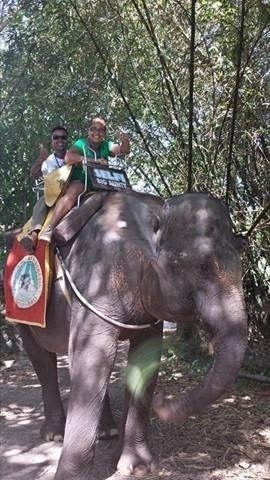 A visit to the Elephant Safari Park is a must for any visitor to Bali. Get up close and personal with these incredible animals in a beautiful tropical park setting. Elephants can be seen immersing themselves in the park lake, in between riding, painting or other activities. Hand feed them, touch them, take photos with them, then learn more about the elephants ancestry and diversity at the Park's historical and graphic displays. Displays of elephant intelligence and their capabilities can be viewed at the Park Arena and elephants can also be seen painting at selected times daily. See Elephant Facts! We are very can meet and serve you.hopely you can help me to recommend us in bali. Thanks so much for your trust to serve you during in Bali. I will waiting you always and thanks for your recommendation. Als je op Bali bent, dan is Komang de gids die je al het moois laat zien wat het prachtige eiland te bieden heeft. Wij zijn nog nooit teleurgesteld !! !